While inspecting a nice early 1970’s homes electrical panel, we found this neutral bar with several aluminum branch circuit wired connected to it. So called “old style” aluminum wire can be particularly dangerous and must be identified by the inspector, according to state law. 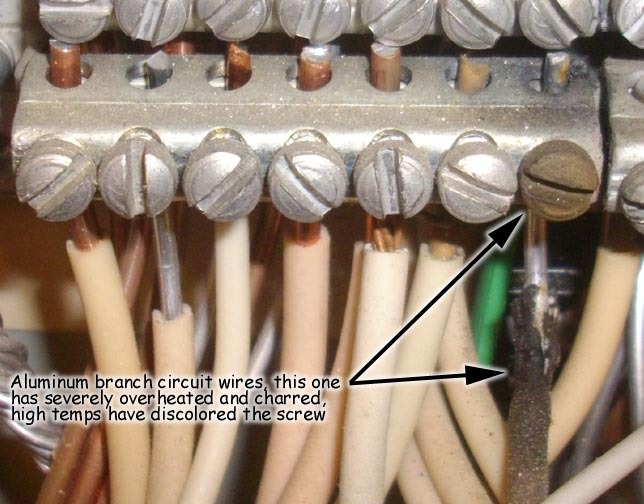 The charring of this wire tells the story, this family is lucky they still have a house to sell. I have no doubt that if this is not repaired, this home will eventually have an electrical fire. We train you to pay particular attention to all electrical inspections because of their potential hidden dangers, and the incredible volume of electrical problems we see. 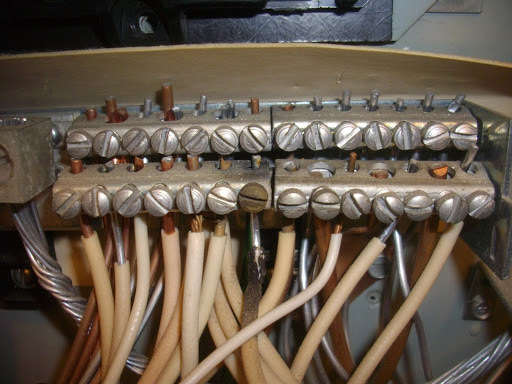 Read more about old style aluminum branch circuit wiring at Consumer Product Safety commission.